Labour leader Jeremy Corbyn is facing a row over his new shadow cabinet, after the chairman of the Parliamentary Labour Party said he was not informed about the reshuffle. John Cryer said in a letter to MPs that the party leadership had not told him or sacked chief whip Rosie Winterton about the changes. The PLP had held talks with party leaders over shadow cabinet elections. A spokesman for Mr Corbyn said he was willing to continue the discussions. His reshuffle has seen deputy leader Tom Watson appointed shadow culture secretary, as well as the return of several MPs who quit the shadow cabinet in the summer in protest at Mr Corbyn's leadership. In other appointments, Jon Ashworth became shadow health secretary, John Healey returned to housing and Diane Abbott became shadow home secretary. In his letter, Mr Cryer mentioned how, in early September, the PLP voted "overwhelmingly" for the return of elections to the shadow cabinet. "This led to negotiations involving myself and the then chief whip, Rosie Winterton, and people from the leadership team. "As far as Rosie and I were concerned, the talks were held in good faith with the aim of striking an agreement which would allow some places to be filled through elections while the leader would retain the right to appoint others." Mr Cryer said it then became clear on Wednesday that a reshuffle was under way, which "had not been discussed or mentioned" during the talks. "It now seems to me that the party's leadership did not engage in the talks in any constructive way," he added. "Obviously, I deeply regret this turn of events." The spokesman for Mr Corbyn, who was re-elected as leader last weekend following a challenge by Owen Smith, said: "Shadow cabinet elections will be considered by Labour's national executive committee as part of a wider party democratisation at a special meeting next month." BBC political correspondent Iain Watson said while some of Mr Corbyn's critics had been welcomed back to the front bench, very few of his allies had departed. 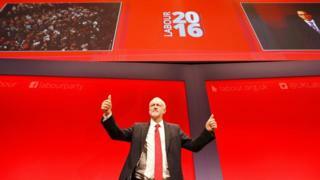 The Labour leader's hold on his party's levers of power was firmer than ever, our correspondent added. 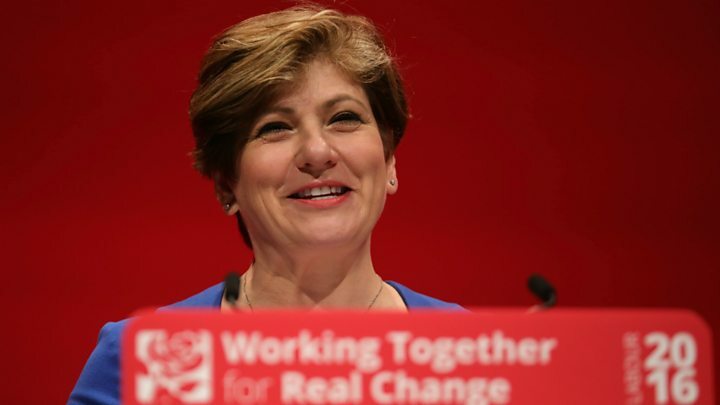 Shadow foreign secretary Emily Thornberry said the criticism of Mr Corbyn was unfair. She told BBC Radio 4's Today programme: "The problem is that on the one hand people criticise Jeremy for being weak and taking too long on his reshuffles and yet when he decides that he needs to do one in order to fill vacancies and reach out, people then criticise him for being too decisive and too strong. You can't play it both ways." Asked whether Mr Corbyn was more interested in seeing off his critics within the party rather than winning an election she said it was about time "we stop fighting among ourselves". "We have a job to do. We were elected to be MPs, represent our constituents and stand up to the government. That's what our priority ought to be and we need to get on with it." However, Labour's former home secretary, Alan Johnson - a former critic of Mr Corbyn - said he was still not up to the job of being leader of the opposition. Speaking on the Today programme, he said "me and many of my colleagues" believed he was not up to the job, adding: "Perhaps he'll prove me wrong."